Tom O'Brien is an American abroad! 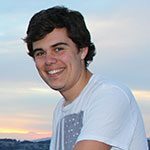 He's having a great time getting to know New Zealand while he studies at the University of Otago in Dunedin. Well, I have been one busy Tom! 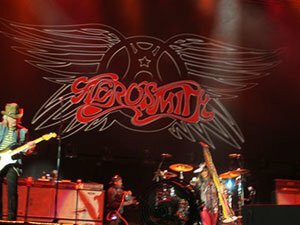 I haven’t posted in a while, but in case you didn’t hear, Aerosmith came to Dunedin for the first time! 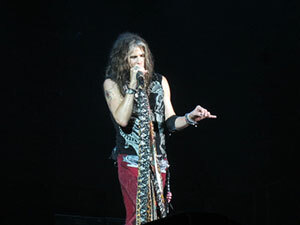 It was destiny for me to go see them so, one of my kiwi friends, Jess and I got tickets for the front row – of course. As always, they were amazing and they rocked the entire stadium! The next day, my friend Liz came down from Australia to come to check out NZ for a long weekend. 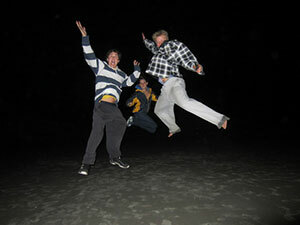 I wanted her to get the full Dunedin experience so we jam-packed our schedule with things we wanted to do. First, we went to Tunnel Beach. This is a place where the erosion of the sandstone and the limestone makes these huge tunnels on the edge of the water. 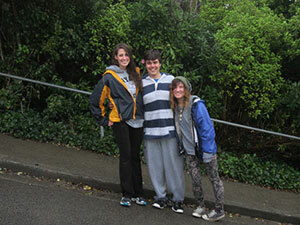 After this, we went to the steepest street in the entire world, Baldwin St. I had an idea how steep it was, but wow did it really blow me away when we got there. We climbed all the way to the top and yes, there were plenty of pictures taken! The next day, we went to Long Beach, because I wanted to show Liz how awesome it was sleeping under the stars listening to the crashing waves. The crew this time was Liz, Sketti, Bronson and I. We did a bunch of exploring and just had one of the most relaxing nights of all time. 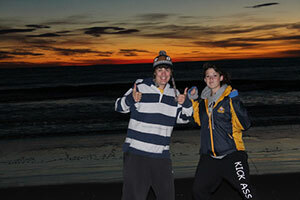 Of course, the sunrise the next morning was epic too. Later that day, we went to the really old cemetery that is from the 1800s to check out what that had to offer. We ended up watching the sunset from up there. It was a really cool mood changing place. Because Liz is really into animals, we took her to Sandfly Bay to check out the wildlife that it had to offer to us. We ended up seeing a bunch of absolutely massive sea-lions. The waves that day were gigantic too! I would say they were pushing 15-20 feet. 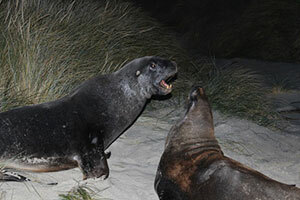 As we were adventuring around, we saw two male sea-lions fighting near the sand dunes. Bronson and I went up really close to take plenty of pictures and videos. The footage we captured is unbelievable. The last day, we got up nice and early and had a beautiful breakfast in the botanical gardens. Liz and I explored the upper gardens and looked at all the birds they have up there. It was funny because these birds were really smart and they would respond to us when we talked to them. All their different calls were quite interesting. This pretty much concluded Liz’s stay in NZ. I hope she had as much fun as I did when I went over to Australia. I am blessed to have these opportunities and I don’t take any of this for granted.